:This thoroughgoing study examines the doctrine of transubstantiation from historical, theological, and ecumenical vantage points. Brett Salkeld explores eucharistic presence in the theologies of Aquinas, Luther, and Calvin, showing that Christians might have more in common on this topic than they have typically been led to believe. As Salkeld corrects false understandings of the theology of transubstantiation, he shows that Luther and Calvin were much closer to the medieval Catholic tradition than is often acknowledged. The book includes a foreword by Michael Root. 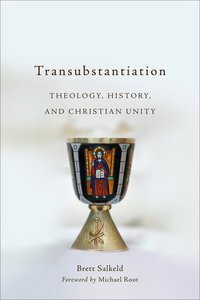 About "Transubstantiation: Theology, History, and Christian Unity"